Search Engine Roundtable posted a list of public sample sites that were potentially hit by Fred. If you are reeling from a sudden, or slow, drop in traffic please don’t do the following…panic. Doing anything at this point is just guessing. Search Engine Roundtable: Google Has Now Confirmed The Fred Algorithm Update – Gary Illyes from Google now officially confirmed the update on Twitter, more details at the end of this story. Search Engine Roundtable: Large Google Algorithm Ranking Update: Black Hat Related? – There appears to be a large Google ranking or algorithm update happening right now in the core Google web search results. Search Engine Land: New, unconfirmed Google ranking update ‘Fred’ shakes the SEO world – The webmaster and SEO community, along with the automated Google tracking tools, all show strong signs that there was a Google algorithm ranking update. Search Engine Land: Did Google’s Fred update hit low-value content sites that focus on revenue, not users? – Google won’t comment about the “Fred update,” but based on our own analysis, many affected sites saw up to a 90% drop in traffic. Search Engine Roundtable: Google Fred Update Targets Ad Heavy, Low Value Content Sites – The sites that got hit also saw 50% or higher drops in Google organic traffic overnight. Most people don’t like this answer but forget the algorithm and stick to the Google Webmaster guidelines. The best thing you can do is understand how Google’s algorithm works, create a great site resting on a foundation of solid content. Following the General Guidelines will help Google find, index, and rank your site. There are 100s of ranking factors. It’s never just one ranking factor that affects a site. Stop looking for the golden egg. Google rolls out new updates consistently. Most of them target sites that are over optimizing. Thanks for updating all the marketers about the new google algorithm FRED, this will really take hearts out of marketers but as you also have updated the tips to avoid will give some moral to them. It’s funny that you mention that people shouldn’t panic because instantly when Google releases that they did something that’s what every average SEO does! Honestly I wouldn’t be surprised if these updates really weren’t updates at all and actually mouse traps to see if/when people decide to randomly start shifting stuff around in ways they don’t like so Google can penalize them. Thanks for updating new google algorithm FRED.. 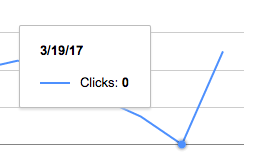 I lost my 70% traffic after fred Update. Hang in there it might bounce back! Its possible there is a re-correction right now. Thanks charlie for quick algo update. We have been dealing with Fred as well, but I think not panicking is the way to go. Although we have the luxury that Fred has not wiped out our business, it still is something that can’t be ignored. In the long run this is a good thing. It forces us to create an even better website and thus outperform those who are unwilling to do so. Still, it is hard to define a path to follow with so many variables going on. Unique content is the key but for some online concepts that is impossible due to the nature of what they do. But I believe that every website can be unique, but you simply can’t look for a solution somewhere else. You have to go back to the basics and rethink how YOU think it can be done better. I’m sitting tight and doing nothing…I don’t think the claim that it’s ad loaded clickbait sites that have only felt the pain. My site is a long established one (1999) and with the exception of past Google updates has been on the first pages of Google pretty much since they started operation. All my content is original, ever green and I have no advertising on the site at all….And now I can hardly find my site for any of its main keywords within the first ten pages. I have seen this before with updates, my site is bumped from page one to page 28, the first three pages replaced with crap sites and outdated news articles from 2002, only to regain its position and week or so later. I hope this is the case this time, if it isn’t I’ll worry about it then. Hey Raiden, I think Google wants sites to have worthwhile content versus click bait w/ AdSense profits in mind. Yes Charlie, I am 100% agree with your words. Content marketing plays key role in digital marketing strategy so it’s always better to generate valuable content and share with the target audience. Just make sure you don’t have any links from expired PBN domains. That gig is over and now auction only is what works. I did not lose ranking, actually my traffic went up by almost 50%. I was in a shock..
~I write my own content. Each article is at least 800+ words. I have over 100 of them now. ~I do not have ads. ~ my website is only 1 years old. ~ I was never obsessed about ‘keywords’ and was just writing what I wanted to say. Described above are things I did /did not do that helped my website to get more traffic after the Fred algo. Hope it helps. My website page views decreased by 15% .. although bounce rate decreased 5% and time per user increase 10-15%. Thanks for this short update on Fred and also for the tip for everyone affected by the algo update – be patient and the rankings might bounce back! Excellent information for Fred update for Penalty recovery. good work CHARLIE ROSE. Thanks..Really an informative blog post. I will check all my old post and start changing them for good SEO ranking. These tips will be very helpful for a blogger like me. I’ve been searching everywhere trying to figure out how to recover from the new Fred update. Should I still be waiting to see if my sites are going to go back to normal or should I be deleting bad links? I don’t want to panic but this is frustrating. Thanks for the info. I will start adding more content to my articles! Thanks for leaving a comment! The most important thing to add to your posts is value and purpose. so did your site recover or did you have to adjust a lot ? Nicz.I need some tips related to your content..I am working in Web Designing Companies In ChennaiIf You need any more information kindly make me call to this number 044-6565 6523. 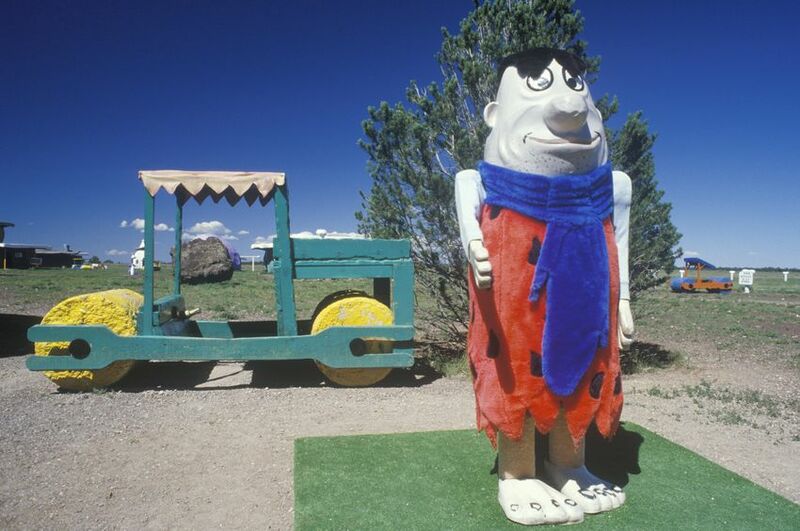 As a small business owner, I have seen a drop in revenue from this Fred update. But, I will continue on with my solid , relevent content and remain patient as like many others have said to write your web pages for humans and not robots! i must say that it is a very well written post and certainly the fred update created shockwaves among the webmaster community and large amount of affiliate websites got hit badly and pages which were ad heavy and or had way little content,thus now we all need to concentrate on creating quality content. Perfect timing for me to read this article. My site is still relatively new and has just started getting regular visitors so I cannot determine whether or not it was affected by the Fred update. However, I can see where I could be making a few mistakes that could affect me. I will be reading your post again and making notes about where I need to make changes to my site. Thanks again for this very informative post. Nice article explaining the Google Fred Algorithm Update which makes Google to give out better results to the query searched on Google. Thanks a lot for sharing this valuable resources. Did you have issues with your site when the Fred Algo went into effect? SEO updates play a significant role in the ranking websites. As a business owner and webmaster, you should be aware of these updates for your business website. Your site is an indispensable marketing and promotional tool; it is crucial for you to be aware of these updates that are recently released and sometimes changed so that you can evaluate your website and check that everything is in sync. In case, you violate any of the update specifications listed; Google will severely penalize you. Thanks for your comment and input on the Fred Update. As a webmaster, you should be aware of these updates for your business website. It is crucial for you to be aware of these updates that are recently released and sometimes changed so that you can evaluate your website. Thanks a lot for sharing this valuable resources. Thank you for sharing with us, great article as always. Glad the SEO tips are helpful! Thanks for reading our blog.